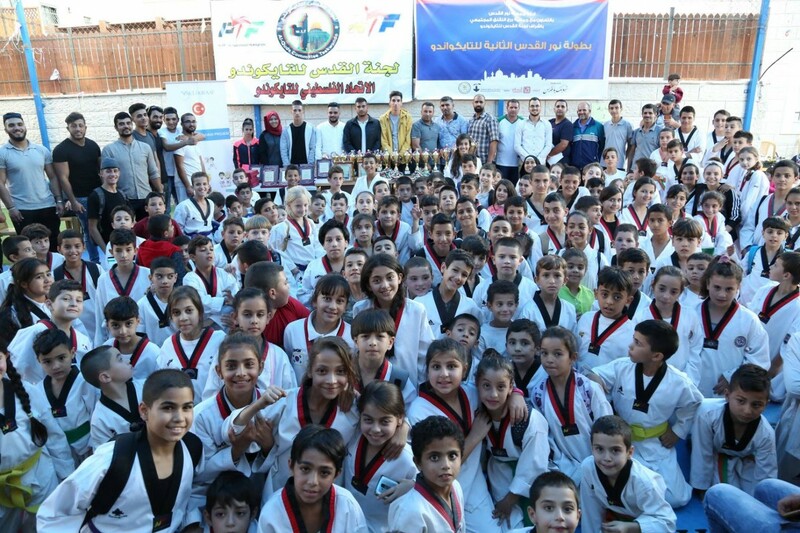 Nur Al-Quds School hosted the 2nd edition of the Taekwondo tournament “Nur Al-Quds” organized in cooperation with Burj Al-Luqluq Social Center Society and supervised by the Jerusalem Committee for Taekwondo. More than 200 males and females participated in the tournament from 10 different Jerusalemite clubs. The trainer of Nur Al-Quds Mohammad Tufakji welcomed the participating teams and expressed his contentment about hosting the 2nd addition of the tournament.